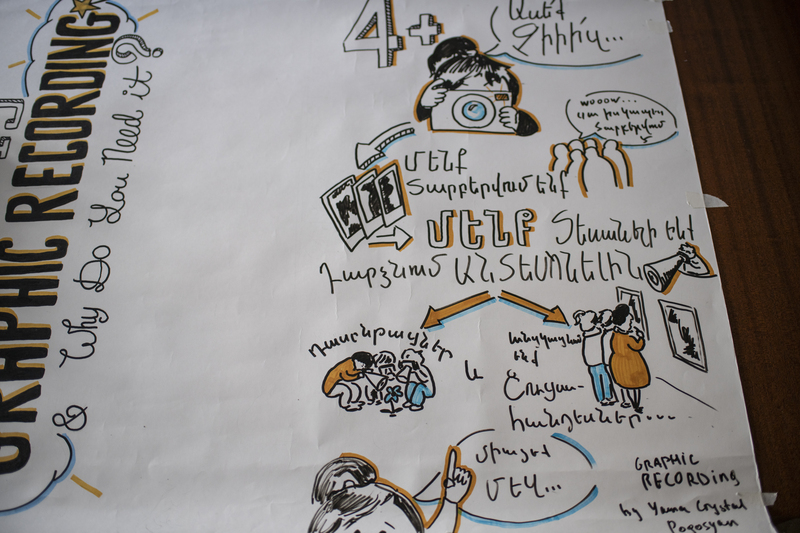 Yana Pogosyan puts what people discuss at various training sessions and forums into graphics. She turns words into images, collecting “showpieces” for exhibition, making it easier to perceive information. So far, this method has not been widely used in Armenia, but, as Yana says, it is very promising and popular in many countries. 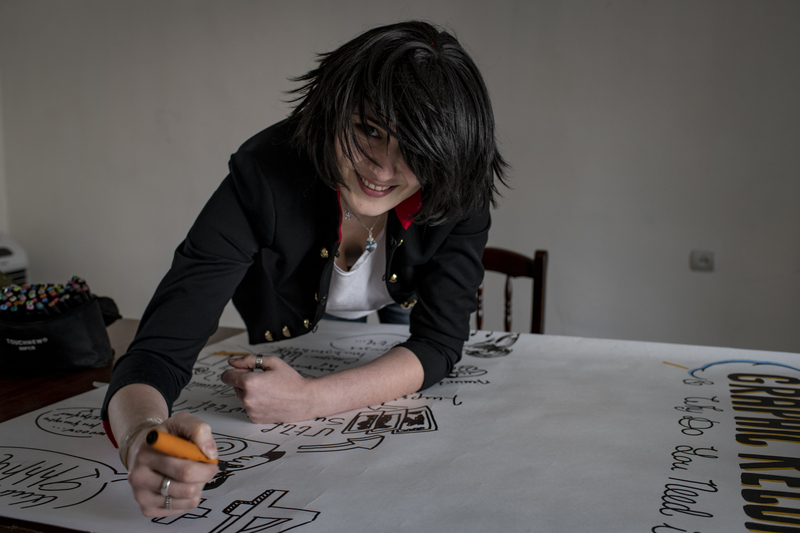 As a graphic designer, Yana has been engaged in graphic recording for two years. She acquired this skill at courses held within the framework of the project 'Support for SME Development in Armenia' (EU SMEDA), which is co-financed by the European Union under its EU4Business initiative. Having taken part in courses in 2017, she pretty much mastered her profession in a week. Now, she is ready to conduct such trainings abroad. 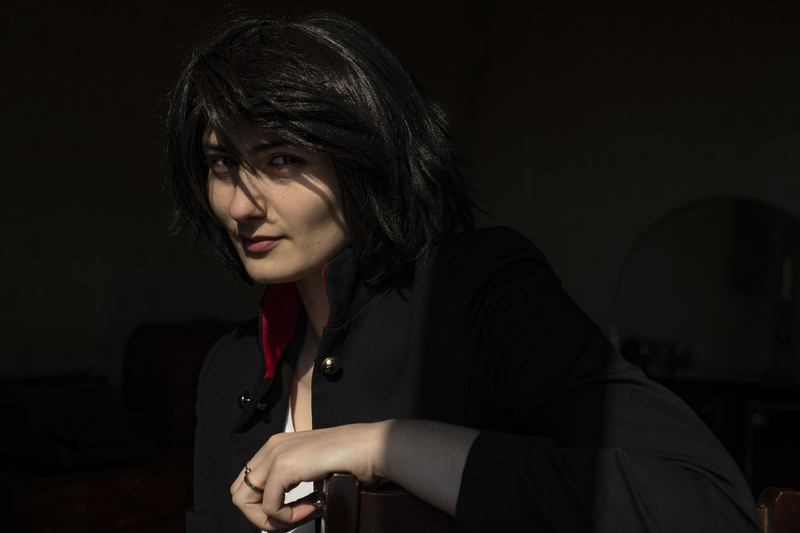 “Since this skill is not particularly common in Russia and Georgia, I am planning a number of trainings there,” Yana said an interview. According to her, the skill opens up great opportunities for working abroad; she can receive orders from abroad and carry them out. 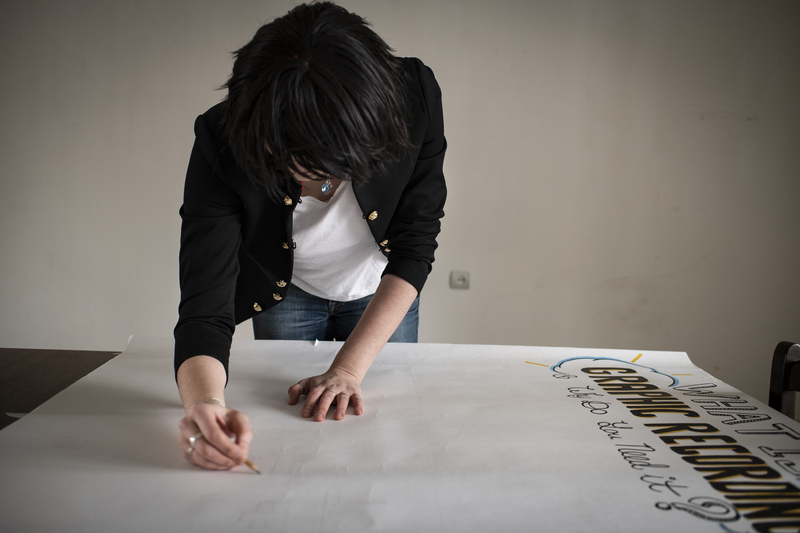 She practices graphic recording in three languages: Russian, Armenian and English. 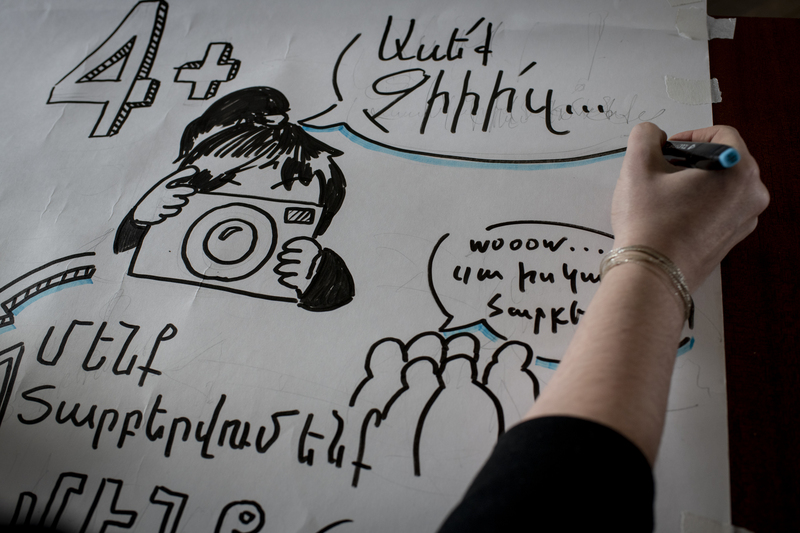 “We were trained in graphic recording literally in a week. To be honest, I like this profession so much that I take great pleasure in this business. It is true that so far in Armenia this skill is not in high demand yet, but it is gradually becoming more and more popular,” she says. Yana does not rule out the possibility that by improving her skills, she could launch a start-up, but she is still studying the market. Yana says that people need to work on themselves all the time and acquire new skills. The peculiarity of the labour market in Armenia is that any good specialist can find a place for him or herself. “We should not be afraid to learn new things. Now I can say that participation in such projects allows people to succeed as professionals. People who see my work like it, but I feel that they do not have enough courage to do the same,” she adds. Yana urges young people to be brave and bring their ideas to life. 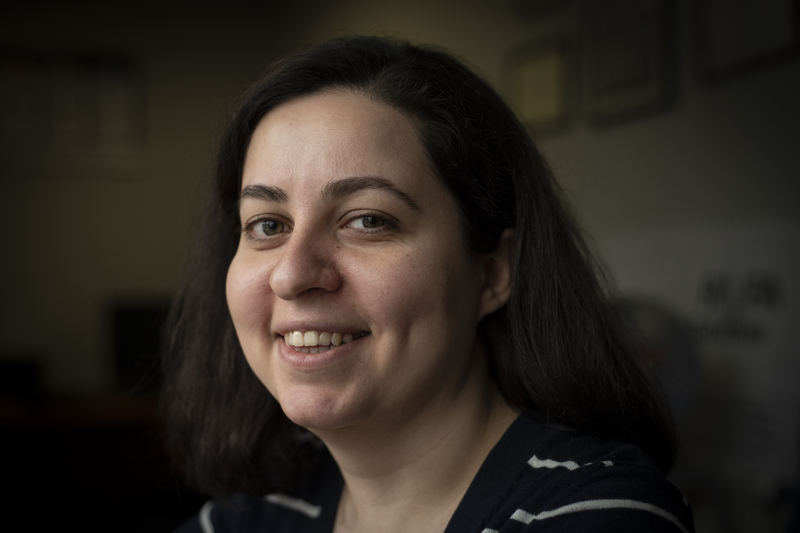 Thanks to the EU SMEDA project, Arev Hambardzumyan, an information technology specialist, has improved her skills as well. 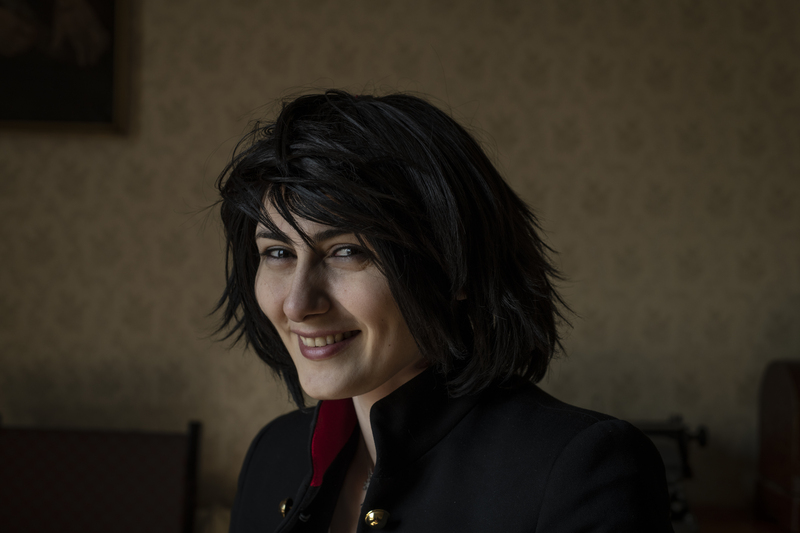 She is another young specialist who believes that there are enough good opportunities for young people in the labour market in Armenia. Arev is a Chief technical officer of two companies in Armenia. She says that there is a shortage of workers in her sector. The Hannover Messe exhibition gives many professionals the opportunity to gather in one place and establish partnerships. It is one of the largest annual technology exhibitions in Europe. “We had the opportunity to get acquainted with the level of technological development in the world and our competitors' products. Besides, we were also able to present our products at the exhibition,” Arev says. 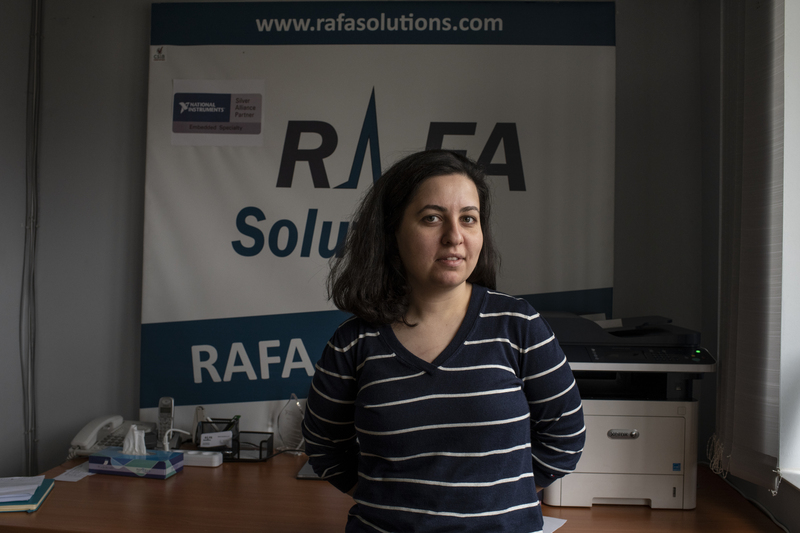 Within the framework of the EU4Business project, a grant was provided for the new company she works for as a start-up business. Arev says that the financial support contributed to the development of the newly-created organisation. 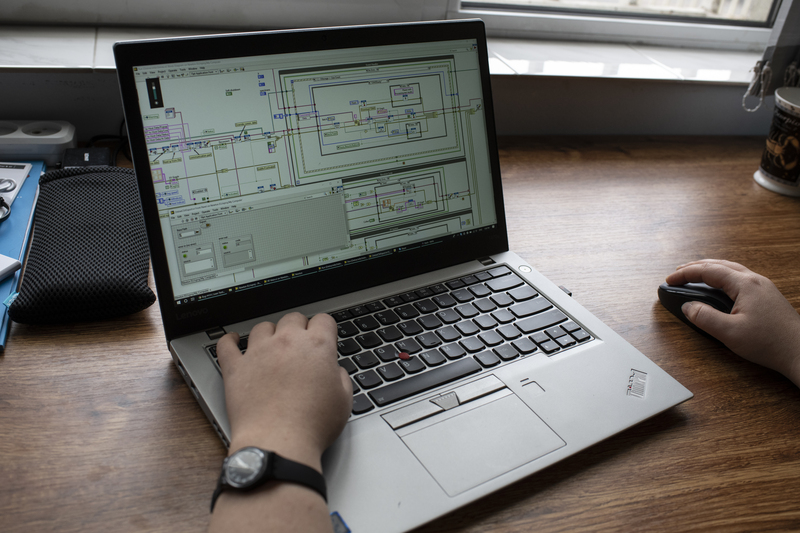 “We were at a fundamental stage at that moment, but we managed to create a new model, to carry out work and bring the product to the market. 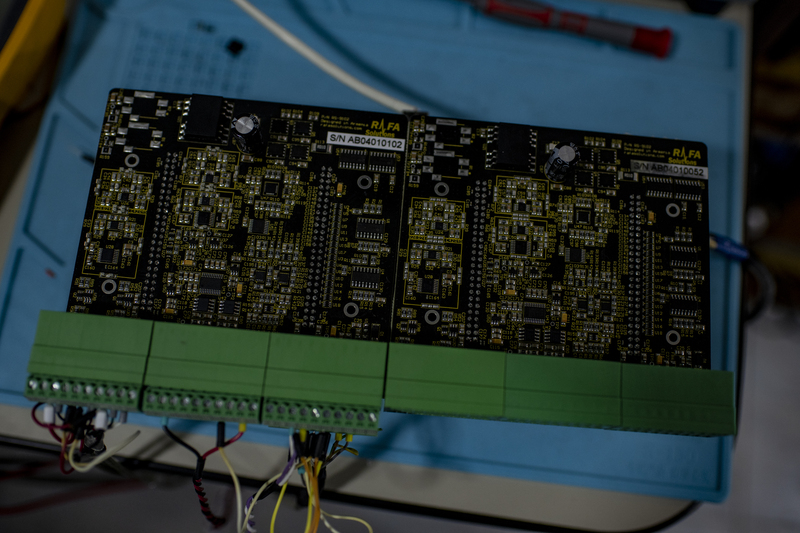 We designed a device for data acquisition and logging. This is a multipurpose device that can be used at weather stations, in oil and gas industry, machinery automation, etc. Currently we are continuing studying the market,” says Arev. In recent years, information technologies have been quickly developing in Armenia. The Armenian government even declared this a priority sector. The main problem in this area however is the shortage of personnel, so work is being carried out in this direction within the framework of state programmes. 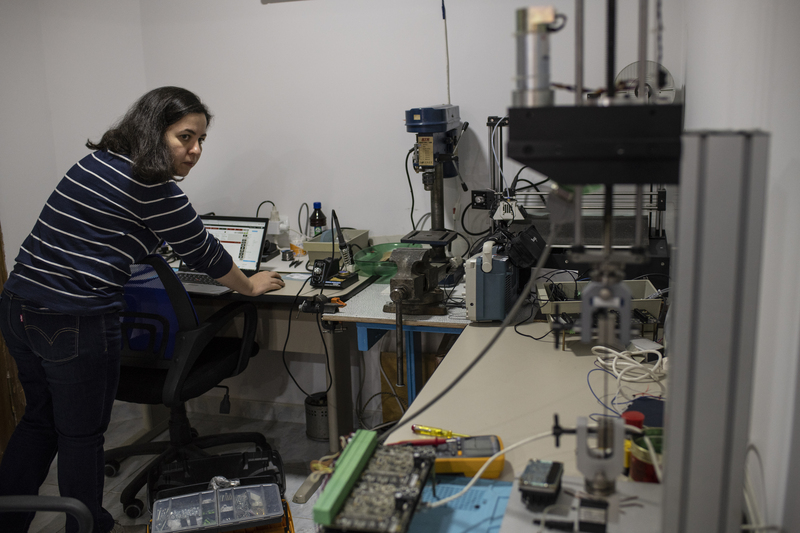 Yana and Arev are examples of young Armenian specialists who not only develop new technologies, but also transfer them into business ideas in their own country, attracting financing for them in the process. The 'Support to SME Development in Armenia' programme (EU SMEDA) is one of the projects under the EU4Business and EU4Innovation initiatives implemented in Armenia. European Union co-funds about 90% of the programme. The project focuses on the development of Armenian companies - SMEs, innovative start-ups, business associations and economic clusters. The EU SMEDA puts special emphasis on the area of fine architecture and creative industries.